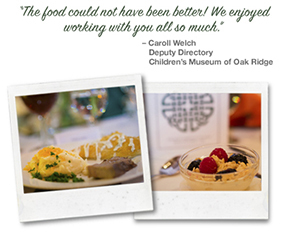 The Scottish Cottage - "Catering"
As a Specialized Celtic Catering company, The Scottish Cottage, will travel to your event location anywhere in the Eastern half of the United States and bring you a Celtic Menu (Scottish/Irish) of your choice. Working from an open air traveling kitchen on site and with staff in kilts, we bring you a complete Highland culinary experience. 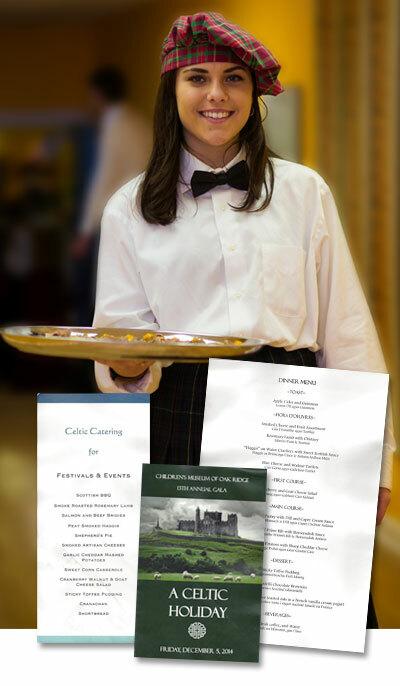 • Semi Formal Dinner - sample dishes include Rosemary Lamb with Chutney, “Haggis” on Water Crackers with Sweet Scottish Sauce, Scottish Salmon Pastry with Dill and Caper Sauce and Cranachan for desset. • Casual Buffet Style BBQ - sample dishes include Scottish BBQ, Salmon and Beef Bridies, Peat Smoked Haggis, Sweet Corn Cassarole, Cranberry Walnut & Goat Cheese Salad and Sticky Toffee Pudding.